As her mother’s name is YuYu, and CoCo is a baby name – it seemed to fit. She was first seen on 20 October 2015. She was probably 7 or 8 months old by that time. That makes her 3 years old now. CoCo is a shy one. She was seen 12 times in 2017, but only twice so far in 2018. CoCo’s mother is YuYu, and she still lives near to her. Her father might be Anzac or Zack, who were both near YuYu when CoCo was conceived. Male Zack is the alpha male in CoCo’s area, and males Lluvia and Cruiz are not too far away. CoCo neighbours and overlaps with YuYu, and lives near to Ruth, Pat and Misty. But as we see her so rarely, its hard to form an accurate picture of her home range. CoCo (right) with male Anzac. She later left the tree. 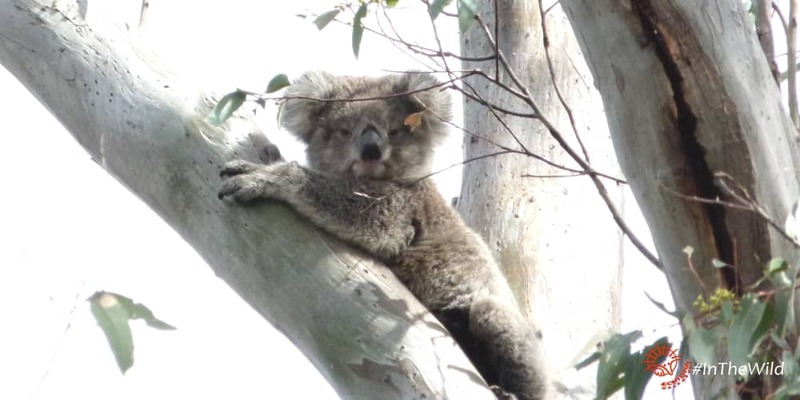 Koala Coco is now a 3 year old female, but we have not seen her with a joey of her own yet. Most You Yangs females breed at age 2 years, or even sometimes at 1 year, but other females never have a joey. 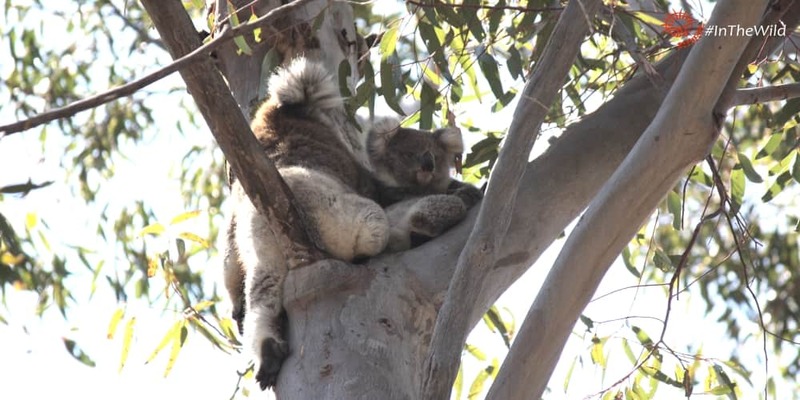 It could be lack of fitness, and reflects on their poor diet – some areas of the You Yangs have a high proportion of koalas’ least-preferred trees: Sugar Gum, Swamp Yate, Brown Mallett. 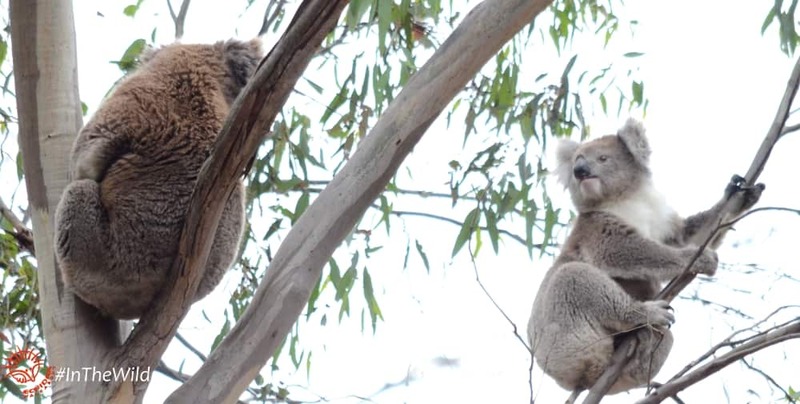 It could also be due to low moisture in the eucalyptus foliage they are eating. 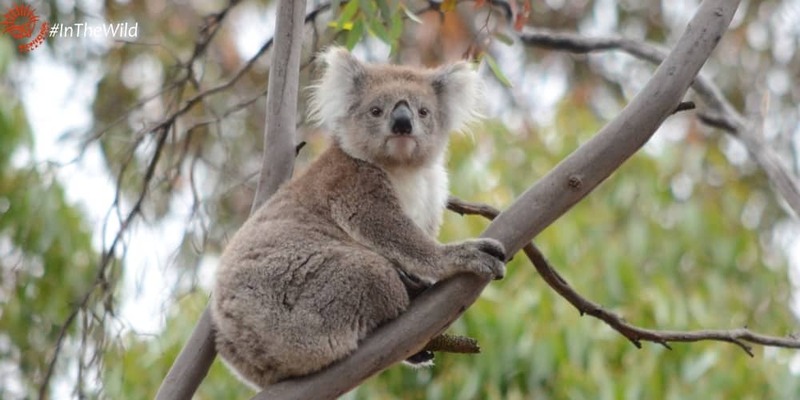 How do we know so much about koala CoCo? Echidna Walkabout Koala Researchers and Wildlife Guides have been monitoring the koalas of the You Yangs and nearby Brisbane Ranges for over 20 years. We use our own discovery – a non-intrusive method of nose pattern identification – to identify koalas without touching them.